Although we have been quietly lamenting the lack of good sushi restaurants along Danforth between Woodbine and Jones, Pioneer was enthused to note the advertisement in this past week's East York Mirror announcing the opening of a brand new Thai restaurant on Danforth called Thai Room (2063 Danforth at Woodbine). It's in the space that was once upon a time called Western Country restaurant and more recently what I think was an Indian restaurant called Emerald. 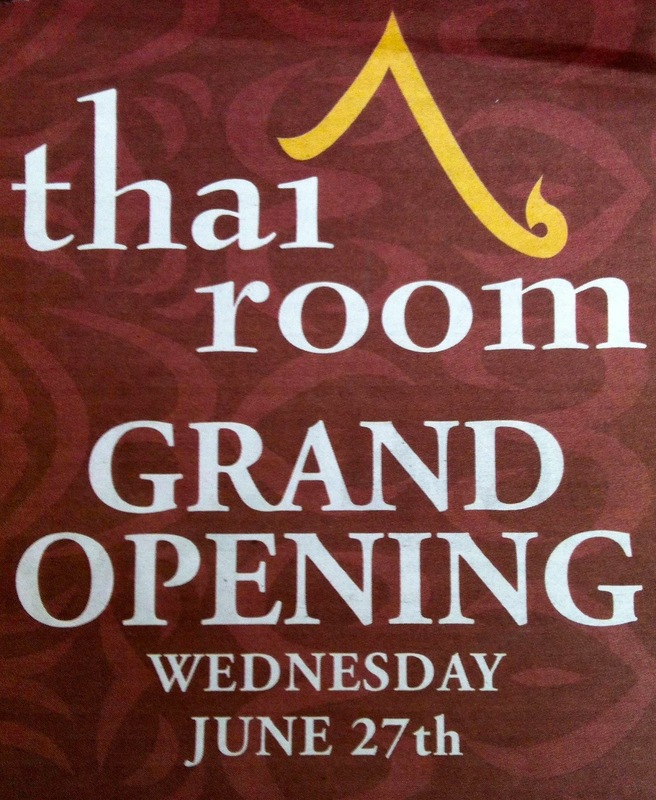 Thai Room opens this Wednesday (June 27) and it's 25% off your order whether you dine in or take out. Pioneer was curious about other Thai options in the neighbourhood, and there are more than you might think. Everyone knows about the well established Thai on Danforth, but in our humble (non-restaurant reviewer) opinion, it's not the best we've ever had. It has been a few years since we tried it though, so maybe it's time for Junior Pioneer #1 to learn about cuisine that does not start with a 'p' and have cheese in it or on it (pizza...pasta....to name a few). We received a great tip from a fellow Pioneer (thanks SH! ), pointing us towards Little Coxwell Restaurant (986 Danforth). The online reviews say this place is more Vietnamese than Thai, but our tipster says that their Thai mango chicken rolls are amazing. There's also Red Chilli Thai (1266 Danforth), which we've eaten at and enjoyed. Pioneer has to say though that Basil Thai Kitchen (2326 Danforth) is definitely the hidden gem of this bunch. The portions are huge, and every dish is delicious. The family environment (read that as easy to clean tables and chairs) also means this is a good place for your own Junior Pioneers! 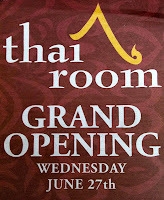 For really good Thai food, I love going to "Thai Fusion" at 969 Coxwell Ave (just south of O'Connor street). Jean's Vegetarian Kitchen rules Thai on the Danforth as far as I'm concerned. I'm not even a vegetarian, although my wife is, but it's really great Thai food.